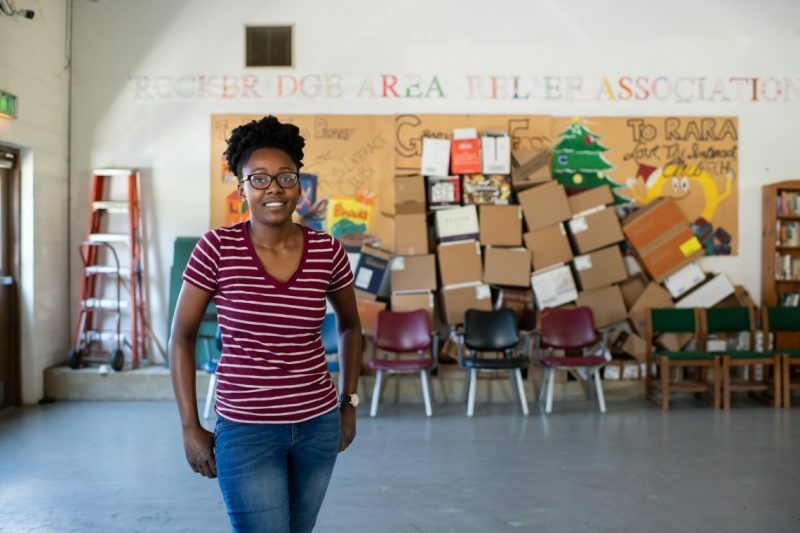 ‘College is More Than Earning a Degree’ Whether she's leading the Student Association for Black Unity, acting in a play or volunteering in the community as a Bonner Scholar, Sasha Edwards '20 is ever mindful that education can happen anywhere. 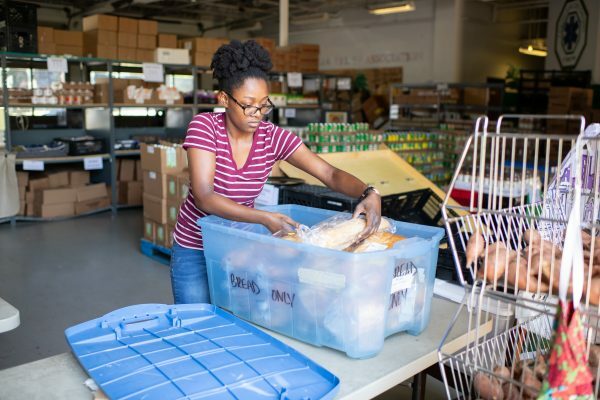 I worked in Lexington as an AmeriCorps Summer VISTA at the Rockbridge Area Relief Association (RARA), a nonprofit that addresses hunger and poverty in the Rockbridge area. What made you want to be part of this work? As a Bonner Scholar, I have a summer of service requirement that I must fulfill, and I knew that I wanted to do it this summer. Marisa Charley told me about the different summer VISTA positions in town, and when I discovered RARA was on the list, I immediately applied. I started volunteering there during the Saturday shifts in late February, and I enjoyed the work. Getting involved in the Lexington/Buena Vista/Greater Rockbridge County community has added to my experience as a W&L student. What did an average day for you look like on this project? We did not have average days, but rather average weekly events. On Mondays, Wednesdays and Thursdays, we prepared the space for our weekday distribution. On Tuesdays we cleaned, and on Fridays we ran whatever errands we did not get to during the week and/or assisted with the mobile food pantry. Was it challenging in any way? It was physically challenging for the first few weeks. The manual labor and brute strength needed to keep the food pantry operational throughout the week surprised me. The largest item I had to move (with the help of two other people) was a 2-ton palette of white potatoes, and the average weight range I carried around was 35-50 lbs. I became used to the weight eventually, and it saved me from going to the gym! Working for RARA at times required a lot of lifting! Most of my preparation for my VISTA work came from the Shepherd Program. Another Bonner requirement was to take Poverty and Human Capabilities (POV 101), and that class introduced me to food insecurity and what that looks like in our area. The additional Bonner training sessions and meetings further added to that understanding. Did your work for RARA impact your future plans in any way? I want to do more work in food insecurity and nonprofit work. Now, how I incorporate that into the future plans I have in my head, I have no idea. However, I believe that taking chances and embracing life’s direction is a good bet. So I am happy that I have that experience to influence wherever the future me decides to go. I believe college is more than earning a degree. That is the top priority, but most of us are transplants. I feel that service in your new community builds connections that cannot be replicated on campus. Also, it is a secondary learning environment. The greater community teaches students about the world around them and what to expect (or gives us an idea). 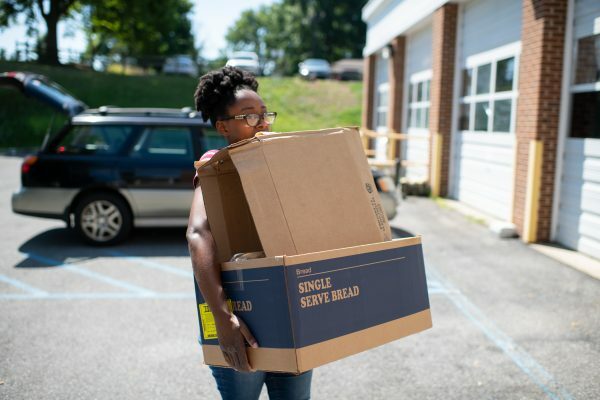 Sasha sorts food at the Rockbridge Area Relief Association, where she interned during summer 2018. You’ll be performing in Professor Domnica Radulescu’s play in the National Symposium of Theater (Stackhouse Theater, Oct. 25). Why is it important to you to be involved in this production? I took a class with Professor Radulescu last winter and absolutely loved it. When she asked me to be a part of the symposium, I immediately said yes. I acted all four years of high school, and I jump at opportunities to do it again whenever I can. My life motto syncs with the work that I am in because it does push the envelope. It comments on the way we think about women in society, immigration and religion to the extreme extent. You’ve said your involvement with the Student Association for Black Unity (SABU), of which you are president, has been your most meaningful experience at W&L. Why has it been so impactful? SABU got me through some rough waters here at W&L because it created a network of people that I could turn to. I found my niche through SABU, and it helped me define and refine my purpose at W&L. It gave me a platform for my thoughts, and that has catapulted me into great opportunities. I am a Bonner Scholar, SABU President, and a Burish Intern at Rockbridge County High School. I love biology. I fell in love with it when I was 15, and I knew from that moment that I wanted to major in it. I thought I wanted to go to medical school, and a biology major fit right into the requirements, but sophomore year, I decided that I wanted to change paths. Now I am studying what I love and what piques my interest without the stress of the MCAT. I love and live by the Laurel Thatcher Ulrich quote “Well-behaved women seldom make history.” I push myself to be myself no matter the circumstance or surroundings. I speak up for what I believe, and I hope that one day I can impact the world with who I become. I love learning about WWII and spent a semester in high school just studying that topic. We watched “Schindler’s List,” and if you haven’t watched it, you need to! It is about a German man who climbs the power ladder in the Nazi regime, but ultimately changes his heart and saves all the Jews working in his factory. It’s an amazing story that proves that anyone can change if they are willing to listen. I want to teach high school biology. I tell everyone that I want to become the Mrs. Frizzle (“Magic School Bus” reference) of high school because I love the subject that much, and I want my students to love it. I will eventually go to graduate school to achieve my master’s degree, but I want more life and “adult” experiences before I go back to school. Sitting up during my first exam week with new friends talking until 4 a.m. (which I do not recommend). Those three girls became my closest friends on campus, and I would not trade that sleepless night for anything. I am borderline obsessed with Disney films, particularly Disney princess/female leads. I can watch them all day, every day, and I go through bouts where I do just that. The messages are genuine and good, and although some reflect the societal norms of their times, I believe that just creates a teachable moment.